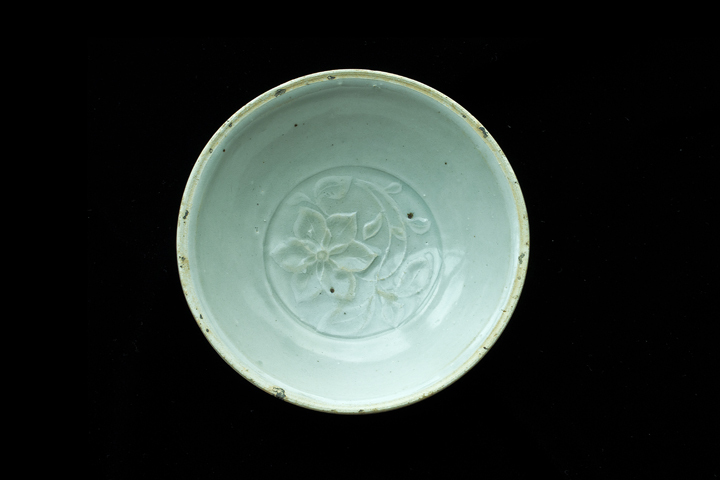 Appraisal: This celadon-white bowl’s glaze color is very light, near white, with grayish hue. Its clay body texture is relatively rough, but with high density. 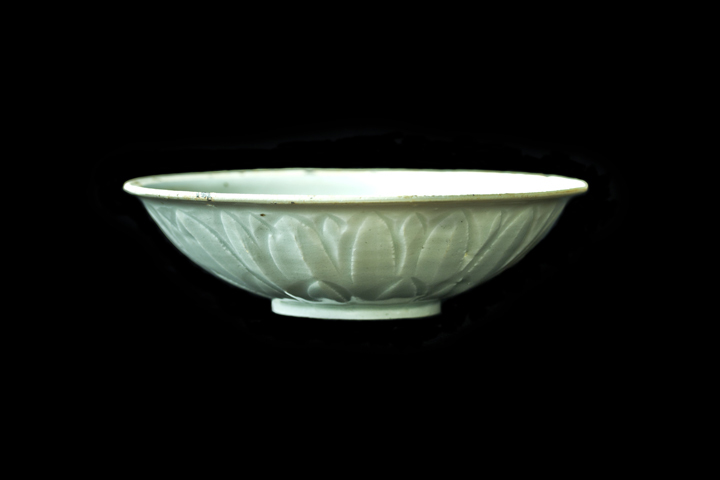 Its white glaze is glossy and very soft – an aging phenomenon from the passing of time of a few hundred years. It does not have the crooked light on the white glaze surface that is typical of newly made celadon-white porcelains. These artistic performances are in line with the characteristics of the celadon-white porcelains made in Anhui Province of the Southern Song Dynasty. 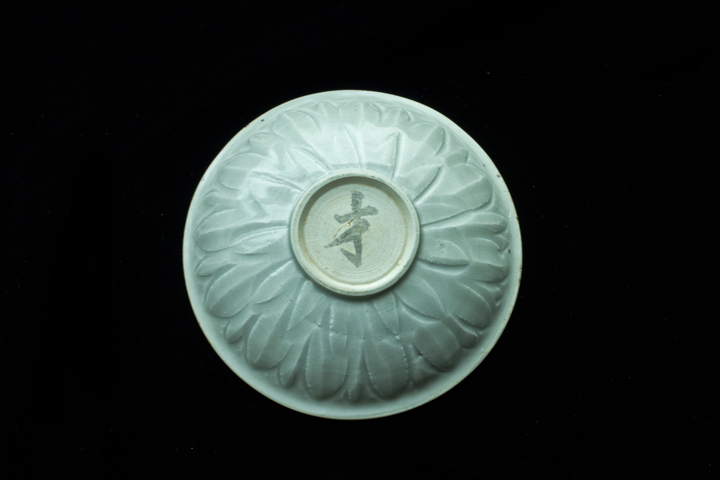 The camellia is very vivid and realistic, the outer locus petals’ cut is very sharp, the “才 (Talent)” character was inscribed by the owner of this bowl and contains the charm of writings in regular script of the Song Dynasty. 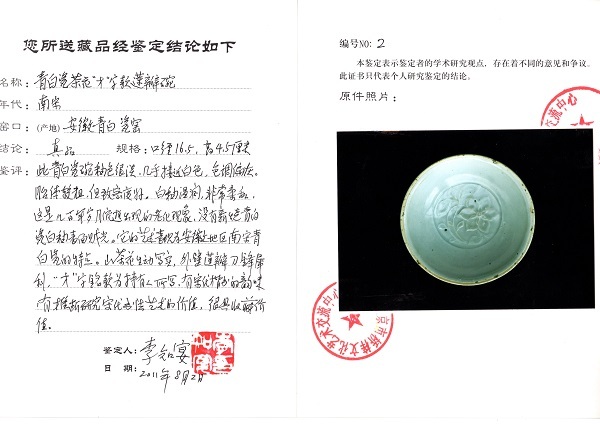 Thus, this object contains very high value for people to study the calligraphic art of the Song Dynasty. Highly collectible.